The definition of “probate” is to establish the validity of a will. A will must be created free from duress and while the person is “of sound mind and body.” If a family member believes that their deceased relative’s will was invalid or tampered with, attorneys can challenge the validity of the will on their clients’ behalf. 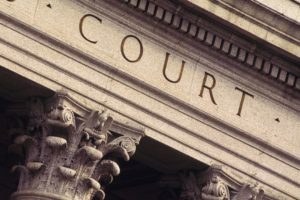 During the probate process, the parties present evidence to support their argument that the will should not stand because these factors were not met. The probate process also questions whether a will was created and/or signed by an impostor. Videotaping a person reading or signing their will is becoming a popular option to establish that the person was able to make logical decisions and that the will does, in fact, represent their wishes. Although this may seem like a flawless option, there are some factors to consider. Consult an attorney at 248-676-1000 if you are considering videotaping your will signing or reading. If you have encountered a dispute with another party during the probate process, contact Kathryn Wayne-Spindler & Associates at 248-676-1000 for help. Probate-related disputes can be costly and complex to settle. You need a lawyer who can help you resolve your matter efficiently and thoroughly. To find out more about our probate litigation and trust litigation practices call 248-676-1000.